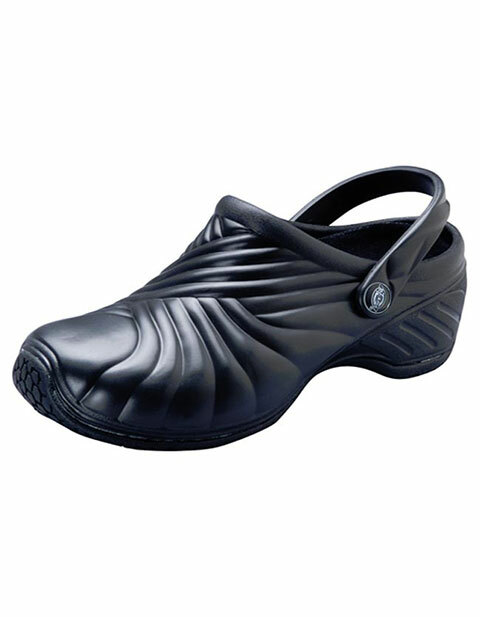 Ensure ease and comfort while walking with unisex injected clog with backstrap from Dickies Footwear that features an extremely flexible and lightweight DBL compound. Convert the clog from a slingback to a slide with the swiveled backstrap, rendering added versatility. Washable using cool to cozy water, the clog features molded, removable, cushioned insole with vent channels for comfort and breathability keeping your feet fresh. Flexible Slip Resistant outsole provides long-lasting durability on a variety of surfaces.